As Ithaka S+R managing director, Dr. Deanna Marcum leads research and consulting projects that assist universities, colleges, libraries, publishers, and cultural institutions to transition into the cloud-based digital environment. Prior to her current enterprise, Dr. Marcum was associate librarian for Library Services, Library of Congress, from 2003 to 2011. She managed 53 divisions and offices whose 1,600 employees were responsible for acquisitions and preservation, services to the blind and physically handicapped, and bibliographic standards. She also oversaw the integration of emerging digital resources into traditional library holdings, the first step toward building a national digital library for the 21st century. Dr. Marcum served as president of the Council on Library Resources and of the Commission on Preservation and Access in 1995. 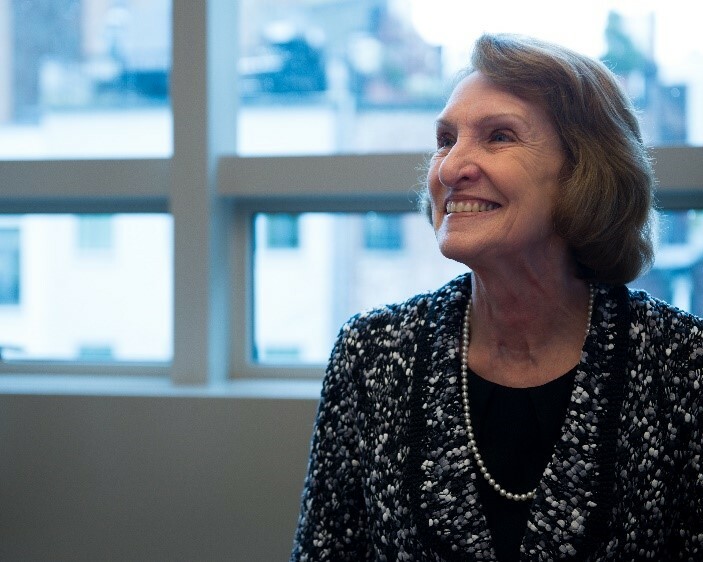 After overseeing the merger of these two organizations into the Council on Library and Information Resources (CLIR) in 1997, she served as its president until 2003. She previously had held the positions of director of public service and collection management at the Library of Congress, dean of the School of Library and Information Science at Catholic University, and vice president of the Council on Library Resources. Deanna Marcum holds a PhD in American studies from UMD, MLS from the University of Kentucky, and BA degree in English from the University of Illinois at Chicago. She was awarded a doctorate in humane letters by North Carolina State University in 2010, and received the Melvil Dewey Medal, the highest award conferred by the American Library Association, in June 2011. Deanna was appointed to the Japan-US Friendship Commission in 2013. Why is graduate education important? Graduate education generally leads to more career opportunities because the research skills acquired can be applied in many different ways. Graduate education also provides an opportunity to gain deep knowledge and expertise in a field of study. It is a gateway to the life of the mind. Why did you choose the UMD for graduate study? I wanted to gain additional academic credentials while also continuing to maintain a successful career. UMD provided the flexibility I needed. The University welcomed an older adult, and I shall always be grateful. How would you describe your graduate experience at UMD? My years as a doctoral student in the American Studies Department were the most enjoyable years of my life. It was thrilling to work with Professor Hasia Diner, my dissertation advisor, and with departmental faculty who were intellectual role models, collaborators, and supporters. I loved every minute of my program. How did the Graduate School, your graduate program, and your professors support your efforts? Faculty mentors often prefer younger scholars who will become future professors over older mid-career adults. UMD respected my goals and aspirations. The Graduate School, the American Studies Department, and all of my professors supported me in my non-traditional path. How has your graduate degree helped to shape your life and career? My doctoral degree opened new opportunities. It was a key factor in my being appointed Associate Librarian of Congress. Without the PhD, I would not be able to succeed in my current position in a non-profit organization engaged with higher education.